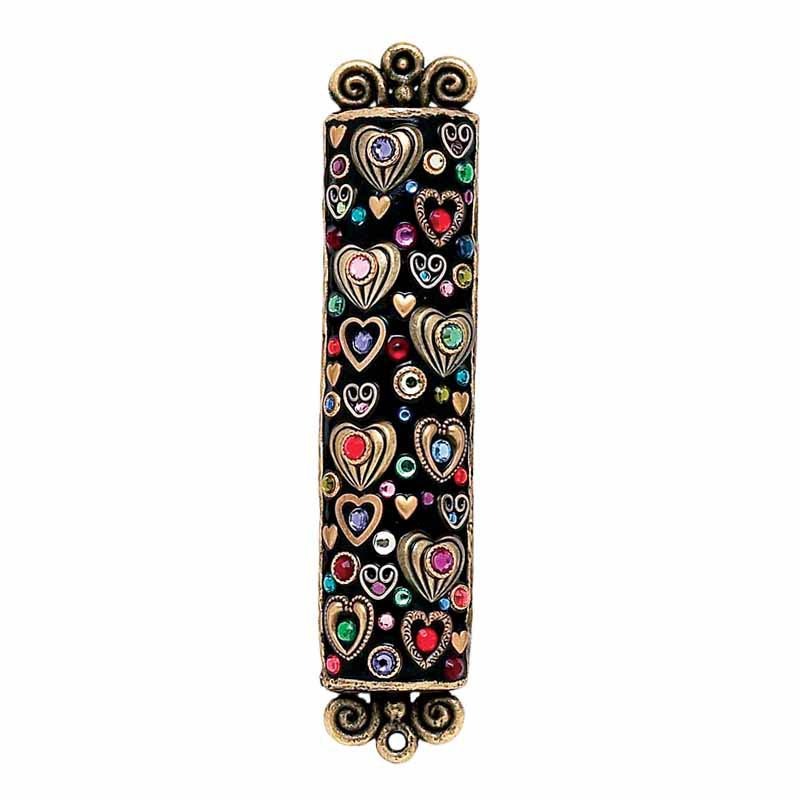 Bless your home in life and love with this fun heart mezuzah. A black enamel background allows the golden hearts and rainbow beads to shine. 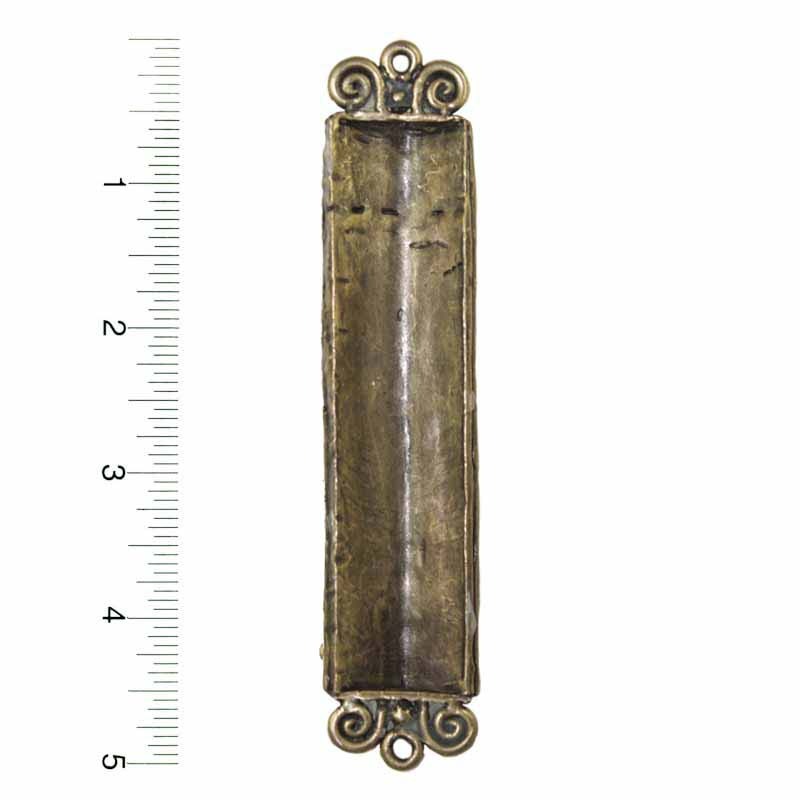 This unique and quirky mezuzah is great for the creative and non traditional home.